Music Publishing 101: What’s a Performance Rights Organization (PRO)? Are you playing your original songs/music live or are they getting played on the radio? Was your song placed in a TV show, film or commercial that is being played on TV? Did you know that songwriters get paid for these types of public performances? 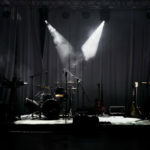 PROs (Performing Rights Organizations) are an integral part of the music industry and in getting these types of public performances licensed, tracked and then royalties paid to songwriters. 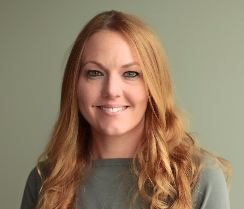 The administration and business side of your song catalog is as important as you creating it - read on to learn the ins and outs of how this works from SESAC Creative Services Manager, Diana Akin Scarfo. If you’re a songwriter, you have the right to be paid royalties any time your song is performed publicly. A PRO, also known as a Performing Rights Organization, tracks and licenses a songwriter’s music and pays the songwriter and music publisher public performance royalties (it is very common for the songwriter to act as the music publisher until a publishing deal/agreement is entered into). Public performance royalties are when your song is performed on radio (terrestrial, satellite, and internet), TV (TV Shows, films played TV, commercials), live performances (i.e. bars, music venues, festivals, etc. ), and digital streaming services (i.e. Spotify, Google Play, Apple Music, Pandora, Rdio, Rhapsody, etc.). PROs sign up or “affiliate” songwriters/composers and music publishers so we can pay them for these public performances of their songs and compositions (SESAC calls our members “affiliates” and you may see this term used to refer to SESAC songwriters, composers, music publishers throughout the answers and explanations below). There are a number of “rights” involved in a song that the copyright holder (songwriter and music publisher) controls. These “rights” are licensed for use in a public performance (performance right), on a CD or digital MP3 download (mechanical right), in a film or TV show (sync right), in print (print right), or on the Broadway stage (grand right). SESAC Performing Rights licenses, tracks, and pays royalties for the “public performance right”. SESAC Performing Rights is one of four PROs in the United States (SESAC, ASCAP, BMI, GMR) and we continue to distinguish ourselves as the most progressive and innovative PRO. We are also now a subsidiary of SESAC Holdings which is the only U.S. based Music Rights Organization (MRO for short) that administers public performance (SESAC Performing Rights), mechanical (Harry Fox Agency or HFA), synchronization, and other digital rights and services (Rumblefish). This offers efficiency in licensing for music users as well as enhanced value for music creators and publishers. Do you also collect royalties when songs are streamed digitally through services like Soundcloud, Spotify, Pandora or SiriusXM? SESAC collects royalties from all of the well-known digital streaming services and many that are not as well known. We attempt to talk to start-ups and established companies alike. We also collect royalties for satellite radio (SiriusXM). Do I need to register my works in every country or does a PRO ensure that I am registered worldwide? The short answer is no because your U.S. PRO has it taken care of from their end as long as your songs are registered properly per their guidelines. The longer answer, as far as SESAC Performing Rights is concerned, is we have reciprocal agreements with over 89 music rights organizations worldwide. These agreements, which cover every major territory in the world, allow these societies to license SESAC’s registered works on behalf of our writer and publisher affiliates. Each foreign society has its own tracking and distribution methodologies that determine the royalties for applicable international performances. Based on their own distribution schedules, SESAC receives periodic royalty distributions from these foreign societies. Upon receipt, SESAC audits, processes and prepares these royalties for distribution to our affiliated writers and publishers. SESAC routinely tracks and documents our affiliates’ foreign performances. Affiliates may notify SESAC of any foreign performances to help expedite the foreign performance notification process. In particular, affiliates may use SESAC’s Live Performance Notification System to notify SESAC of live performances overseas. Do PROs pay songwriters as well as performers? PROs pay songwriters/composers and music publishers. Sometimes the songwriter is also the performer, but if the performer does not have a writing and/or publisher share on the song, then they would not receive performance royalty payments from a PRO. In other words, being the performer of a song does not mean you would receive performance royalties paid to you; you would need to have writer and/or publisher shares on the song to be paid by a PRO when it is performed. There is an independent nonprofit collective management organization in the U.S. that collects and distributes digital performance royalties to featured artists and copyright holders called SoundExchange (they are separate from PROs like SESAC, ASCAP and BMI). SoundExchange represents recording artists and small, medium and large record companies. They collect and distribute royalties for multi-platinum stars and local garage bands in all genres. The term “featured artist” refers to the group or individual most prominently featured on a sound recording, track or album. “Featured artists” receive direct payments from SoundExchange. A “non-featured artist” is an artist who is not prominently featured on a sound recording, track or album (i.e. a session musician or a back-up vocalist). Royalties for “non-featured artists” are covered by organizations such as the American Federation of Musicians (AFM) and SAG-AFTRA. A rights owner owns the “master” to recorded artistic content and can be a record label or an artist who owns their own masters. Can a songwriter be a member of more than one performing rights organization such as SESAC, BMI & ASCAP? A songwriter can only be affiliated with one PRO at a time. You can, however, switch to another PRO by going through the resignation process for that society and then affiliate as a songwriter with another PRO. You must follow the guidelines for resignation set forth by that PRO and this should be outlined within the agreement you entered into when you affiliated with them or you can contact your PRO directly to get this information as well. A music publisher is typically affiliated with all three U.S. PROs since they represent songwriters and composers at SESAC, ASCAP, and BMI. What’s the difference between registering my works with a PRO and a music publisher? When you register your songs/compositions with a PRO it is so your songs/compositions are represented for the public performance right (radio – terrestrial/satellite/internet, tv, live, digital streaming) as a songwriter/composer and music publisher (until a songwriter/composer enters into an agreement/contract with a publisher, the writer acts as the publisher of the work and is therefore responsible for all of the duties involved on the administrative and creative sides of the song/composition). The PRO can then track and license their music to pay them performance royalties. PROs negotiate and obtain licenses from music venues, radio and tv stations, malls, restaurants, bars, etc. (basically anywhere that music is being played in public besides churches and schools). A music publisher affiliates with PROs as well so they can register works through that PRO for songwriters/composers they have a co-publishing or administrative publishing agreement with, but they have duties that are both creative and administrative. Creative in that they look for ways to pitch your song(s), either by “pitching” the song to other artists to record, to advertisers who could use it in a commercial, or to music supervisors who might place it in a film or TV show. Music publishers also handle the administrative duties of the song. Some of these duties include filing the copyright registrations, and registering the song with the Performing Rights Organizations, The Harry Fox Agency, or any other collection agencies so that royalties can be collected for the multiple rights that a song/composition is involved with and that the copyright holder controls. A publisher will also negotiate fees and issue the appropriate licenses for all uses of music, making sure that the payments from licenses (record companies, video distributors, TV and film producers) are paid on time and accurately administered. In a nutshell, the music publisher oversees the business of the song. The Performance Right is the right to have your song performed in public (on radio, TV, live venues, satellite and internet radio, background music services, etc.) and is represented by a PRO, like SESAC, who licenses these rights on your behalf, and then collects and distributes performance royalties to both the songwriter and music publisher of the work. The majority of a song’s income will come from performing rights royalties. The Mechanical Right is the right to “mechanically” reproduce or distribute your song onto a fixed medium, including records and CDs. The mechanical right gives you the ability to collect on the sale of a song to the public. The record company obtains a Mechanical License from the publisher for this use and is responsible for paying mechanical royalties to the publisher for each use. Many publishers utilize The Harry Fox Agency [www.harryfox.com] to handle mechanical licensing grants on their behalf, as well as synchronization licenses (see below). The record company pays royalties to the publisher who then pays the writer. If you are both the writer and publisher of a work, then the royalties would be paid directly to your publishing company, for both writer and publisher shares. The Synchronization Right comes into play when your song is used in a film or as part of a television show. Your music is “synchronized” to the film, either in whole or in part. The producers of the film or TV show will negotiate a Synchronization Fee – “sync fee” – and will acquire a license from the publisher to obtain permission to synchronize the music. These royalties are paid to the publisher of the work who then splits the royalties with the songwriter. The Print Right is the right to have your song used in printed form such as a songbook or sheet music. Print Rights are generally handled by a publisher who specializes in this area. The Grand Right is the right of the copyright owner to perform or license others to perform their song in a dramatic matter, which advances the plot of the production in which it is included (such as a Broadway show). This requires a license from the copyright owner separate and distinct from, what is commonly known as, the “small” performing rights which SESAC represents (concert and live performances, incidental and background music on TV programs, and radio airplay, just to name a few). Other Rights: The Sound Recording Performance Right is the right to have your sound recording performed in public (as opposed to the song or underlying composition embodied on the recording). Currently this right is limited in the U.S. to require that certain digital services — Internet radio, satellite radio and cable TV radio — pay a royalty for the streaming of your sound recording. Terrestrial radio is not required as of yet to pay such a royalty. 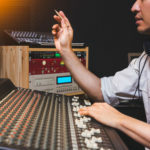 The Sound Recording Performance Right also allows for performers (both the main performer and background singers/musicians) on the recording to earn a royalty when that recording is used by these digital services. SoundExchange is the organization designated to collect and distribute these royalties to recording artists and record labels. For more information about SoundExchange go to www.soundexchange.com. If you are, however, a background singer and/or session musician go to the AFM & AFTRA Intellectual Property Rights Distribution Fund at www.raroyalties.org. This organization collects royalties on behalf of both royalty artists and session performers. Stay tuned for Part 2 coming later this week! Very interesting read! I hope to learn more in part 2! I’m quite interested as well about Part.2. Where can I find that?